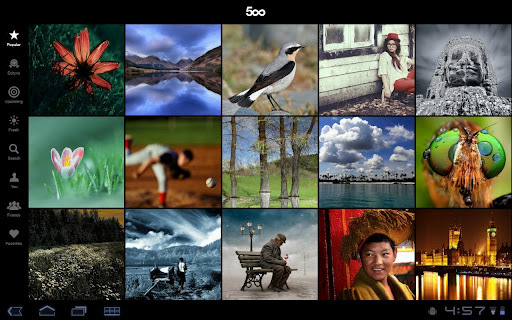 It should come as no surprise that 500px is quickly becoming the popular alternative to photo sharing and hosting site Flickr, as it recently announced a $20 yearly plan that takes aim directly at Yahoo’s prized service. To build out its community even more, the company has launched its first Android app today, and a seriously updated version of its iPad app. The service tells us that its iPad app users spend more than 40 minutes in the app every session, checking out, interacting with, and sharing photos. The Android version, without a doubt, is set to see the same type of traction. Not only is 500px popular for sharing photos, it’s also become a marketplace for photographers to sell prints of their work, which is something that Flickr never even attempted. We’re in the midst of a movement to reinvent the experience of photography and culture on mobile devices. The way we take photos, and what we use to take them, is evolving. 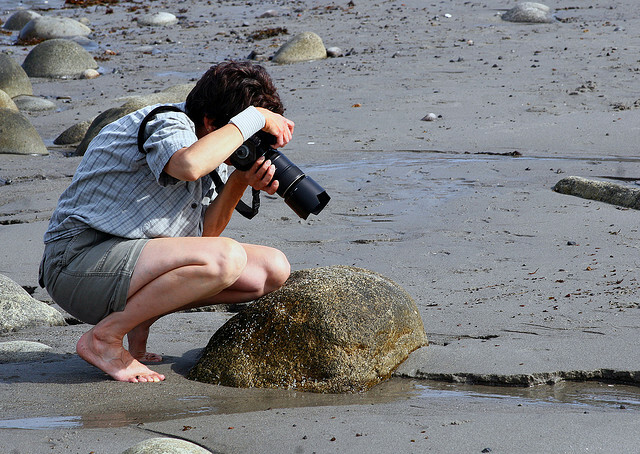 The way we showcase and consume photos must follow. With our site and applications, everyone can be an artist or a curator or both, through any medium. Its iPad app has gotten a once over with Retina Display support as well as in-app purchases, so that people can buy as they browse. 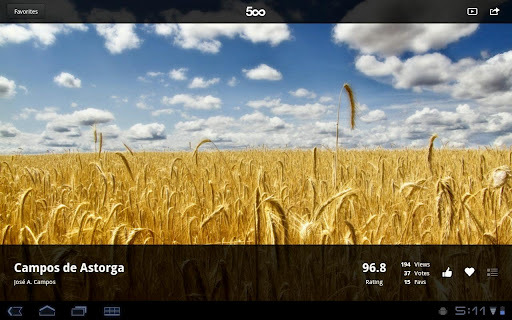 According to 500px, the iPad version has seen 300M pages of photos flipped through since its launch. In addition, users can now download HD versions of their favorite photos using the app. The service itself hosts over 6M photos, which is an impressive accomplishment given that there are multiple players in the photography space.